Before Jack Kramer, the strapping young lad on the cover, bound it forever in the straitjacket of professionalism, tennis was a free and mostly alien world, where everyone seemed to give the game their very own spin. Torben Ulrich pursued the perfect sound of the ball on the strings, whether he was playing indoors or outdoors; “Teach” Tennant, who had coached Carole Lombard and Joan Crawford, tried to turn his players into “tennis statues”; and Art Larsen – oh, Art only ever followed the advice of his imaginary coach, the golden eagle perched on his shoulder during his matches. That world comes alive again in these fifteen tales – fifteen extended captions to fifteen agency photos from the Fifties found in a collector’s suitcase. 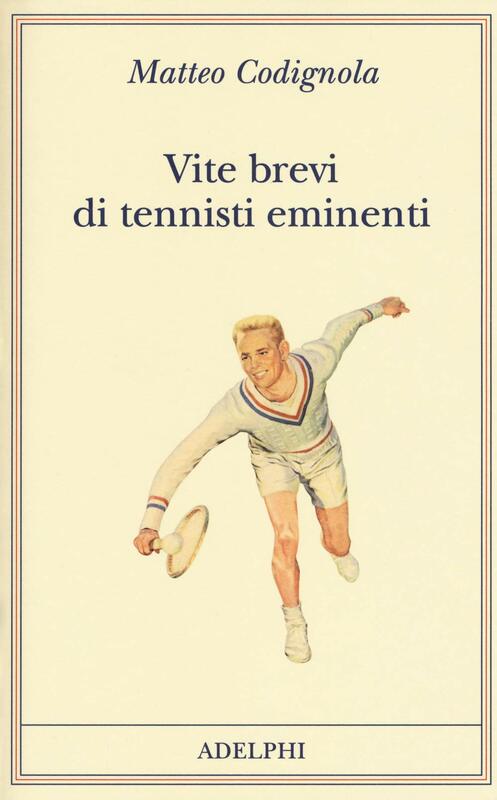 The discovery lies in how faces and names that have become exotic – Gottfried Von Cramm, Beppe Merlo, Pancho Gonzales – conceal something that was ingrained in early tennis and of which today’s superlative tennis seems to have lost even the scent: a wonderful jumble of stories.